As a professional music company we are confident that we can adopt your brief and budget; tailoring a composition to suit your requirements. We use the latest Pro Tools multi-tracking software and have access to an array of professional recording and musical performance equipment as a music company and production facility for many types of media. 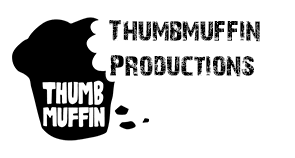 Here at Thumbmuffin Productions, we are very proud of our customer service and delivering compositions at very competitive rates as a highly respected music company. Whether you need a music company to work on an existing idea or to work from scratch with only an initial concept to go off, we have been there for many different projects and we're up for any challenge. We have access to many different types of instrumentalists and producers who have worked on a multitude of music composition and production projects. It's a very exciting time to be alive as there are now many content creators who are trying to stand out from the crowd. 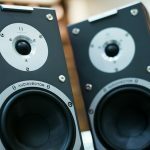 A custom made audio project could be just the thing to make you stand out. As a professional music company, we can advise you on what would suit you best and can produce some initial ideas to help you decide on the right path for your content. Please contact us now to discuss your project requirements and we can create that track you need to take your multimedia project to the next level.